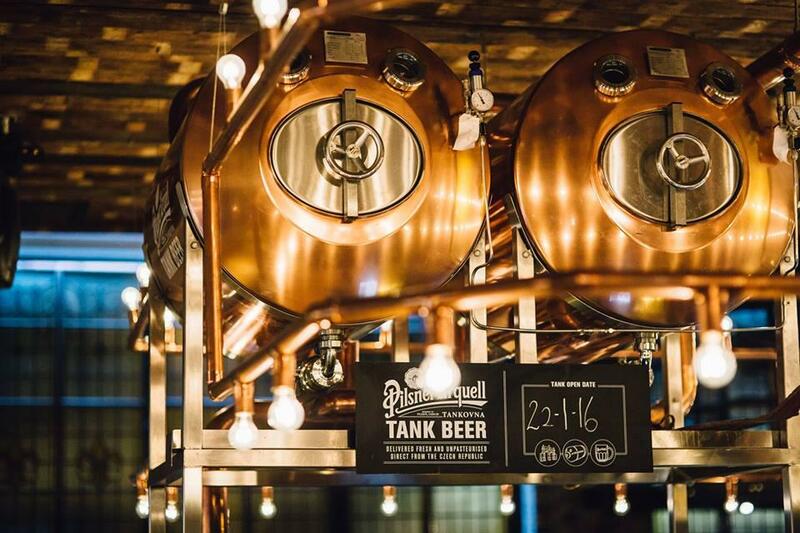 Manchester has transformed in recent years into what can only be described as a centre for creativity and all things cool, so of course its bar offering doesn’t disappoint! Like its vintage fashion, thriving underground music scene and eclectic food offering, the bars of Manchester have something special. Whatever your vibe, Manchester’s bar scene welcomes you with open arms. 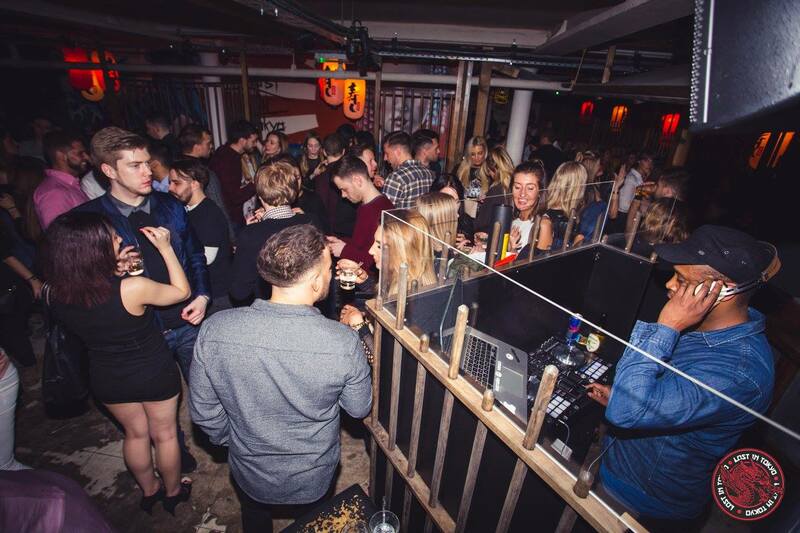 Not many people know that secret bars are a big thing in MCR. Well, now you do. 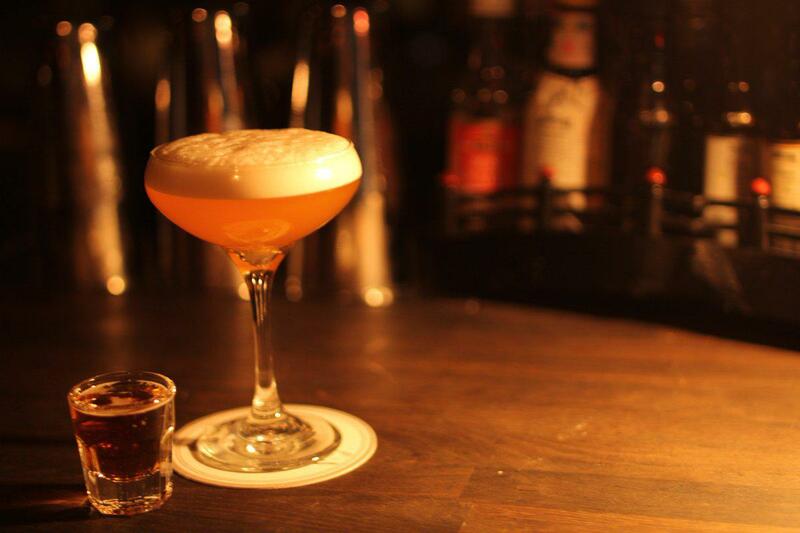 If you really want to experience the alternative depths of the city, then secret bars are the way to go. We’re kicking off our list with a truly unique bar. Literally a washhouse, as you walk in to the bar it’s almost like entering a parallel universe – that is an old-school launderette. A strange concept, but it will be a night you won’t forget. Mellow yet funky house beats are laid down by the in-house DJ. As for the drinks offering, anything goes with their exclusive concotions. One cocktail features a slice of Battenburg cake and another a sushi roll. Brilliant. All you need to do is find the place and make a booking. A little more challenging than paying a visit to a run-of-the-mill bar, but that’s part of the fun of it. Find out more here. Located on Peter Street beneath the Albert Hall music venue, taking inspiration from Bavaria and Bohemia, Albert’s Schloss definitely fits into the quirky category. Its gorgeous interior combined with its vast drinks menu makes it the perfect destination for chilled drinks with something a little bit different. There are events held regularly so make sure you keep an eye on their social media to be the first to hear what’s on. Unsurprisingly, having been named after Queen Victoria’s husband, the menu is nothing less than regal. Of course German bier features heavily, but there is certainly something to suit all tastes, including an impressive range of extravagant Victorian-inspired cocktails. There is even a ‘Push for Prosecco’ button at each table! Albert’s Schloss boasts an equally appealing food menu so is a great option for dinner and drinks. A visit here is like being transported to another time and place – all in all an uber cool experience. Find out more here. One for those who appreciate a touch of class, this impressive cocktail bar is located on the 23rd floor of Beetham Tower in Deansgate is sure to fit the bill. 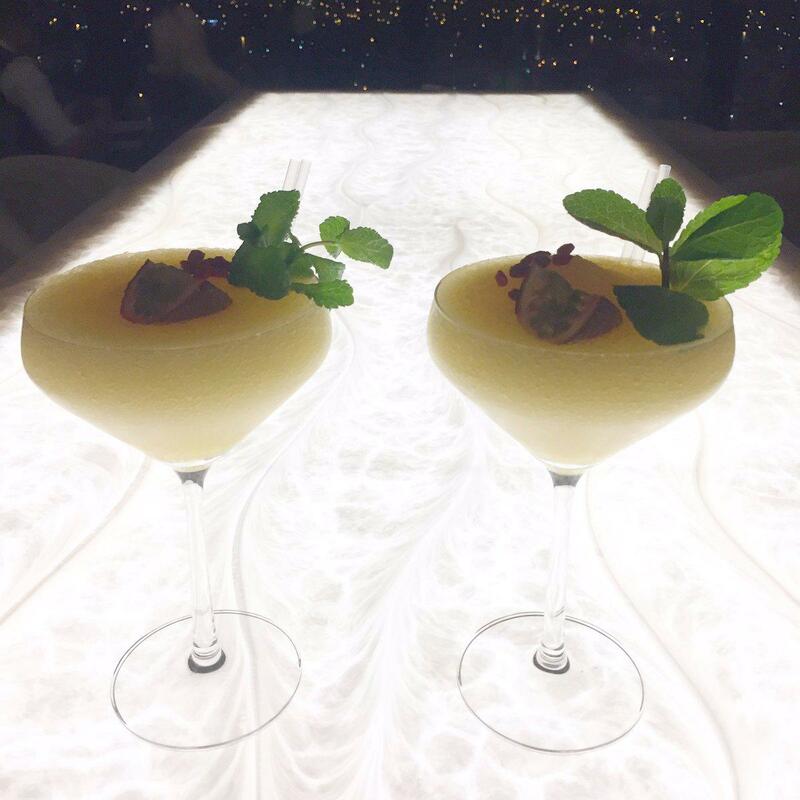 Proudly looking over the city, Cloud 23 effortlessly oozes sophistication and allure. Try out the UK’s first floating cocktail here for a truly fresh new drinking experience. With a wide offering including champagne breakfasts and cocktail masterclasses, you can see why Cloud 23 has gained such a reputation for its lavishness – the dress code ensuring it is upheld at all times. Take a relaxing gaze through the floor to ceiling windows whilst enjoying an afternoon tea or sipping on cocktails created to allude to Manchester’s heritage as the city buzzes beneath. Cloud 23 operates on a Guest List system so you will need to get in touch before turning up – one of the few truly indulgent bar offerings outside of London. Find out more here. 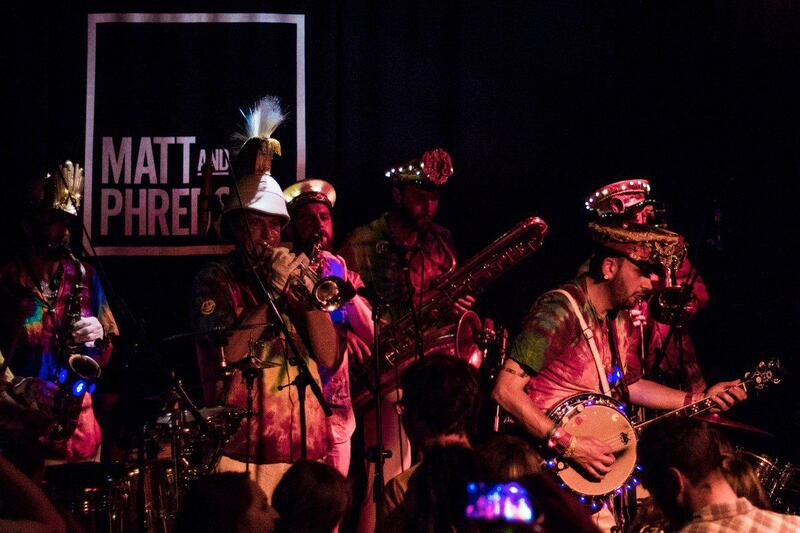 This recently re-opened gem describes itself as an ‘Intimate live music venue/speakeasy,’ and we have to say it’s definitely got a big green tick in the ‘quirky’ box! The setting of this bar is a basement in Withington, just a stone’s throw away from the student area of Fallowfield. Indigo is definitely one of the livelier bars on this list, with live music performances almost every night of the week, such as Jazz Jam every Wednesday and Super Smooth Sundays; the stage is graced by artists covering a wide range of genres. As for the drinks offering, the cocktails are all very reasonably priced at £5 and the menu offers funky combinations such as Gin & Hooch and even a ‘Dirty Calpol’ (Rum & sour grape KA juice). There are also plenty of craft beers and ales available, and classic cocktails are available to order from the waiter. Find out more here. Matt & Phreds is one of the more well-known establishments on our list, but this certainly doesn’t make it any less special. 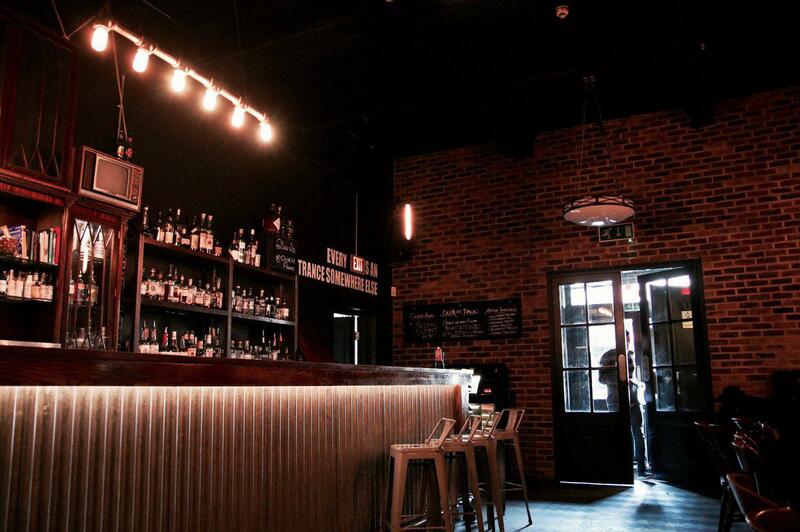 Most commonly known as a live music venue, it still hosts gigs six nights a week, but has also branched out with its tasty pizza menu and is a popular venue for after work drinks and chilled hangouts. You can pop in Monday-Thursday and see a gig for free whilst you sip on your beer or Bourbon. There is a £5 entry fee on Fridays and Saturdays because it can get pretty busy! With Happy Hour and 2-4-1 cocktail offers every day of the week (6pm-12am on Tuesdays!) you’ll definitely get your money’s worth and even free pizza! Check the diary to find an act that suits your music taste or just wander in – we’re sure you’ll be leaving with a smile on your face whichever way! Find out more here. 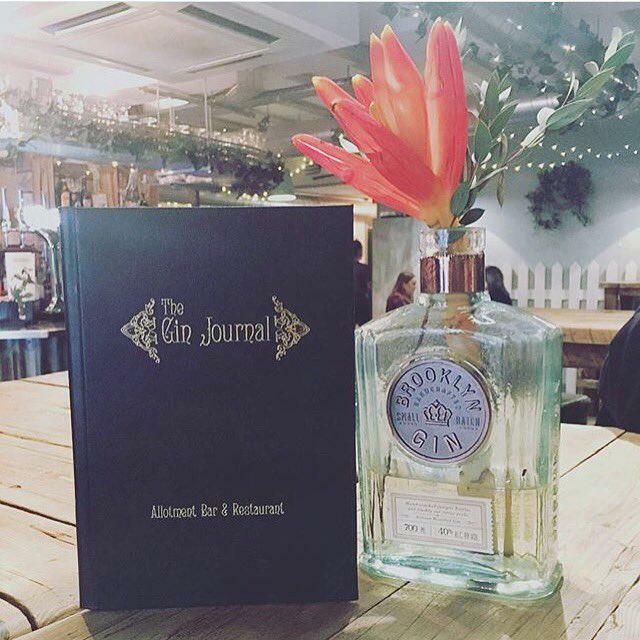 If you’ve ever visited The Botanist in Birmingham and are looking for somewhere similar in Manchester, then here it is. Rustic wooden picnic benches and calming décor create the perfect atmosphere for lazing away the afternoon, sampling a range of lovely gin cocktails as you go. Offering a wide range of soft drinks including fruit smoothies and lemonades, this versatile venue is also a great breakfast hangout. The cocktail menu boasts but is not limited to gin concoctions, with sharing teapots available and a substantial wine list, it would be difficult to choose the same thing more than once. The food menu is equally vast, from brunch to sharing platters to Sunday lunch. Allotment Bar is a truly lovely place, the perfect setting for a date, hanging out with friends, or for a change of scenery to get some work done at breakfast time. Find out more here. The first of the Black Dog Ballroom venues is located in the Northern Quarter beneath Affleck’s place. 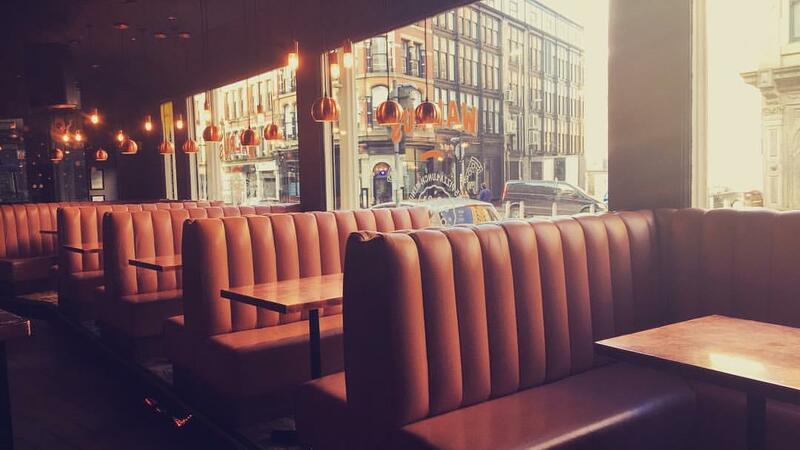 With its New York inspired vibes, settle down here for evening drinks or enjoy a feast from the American style food menu. 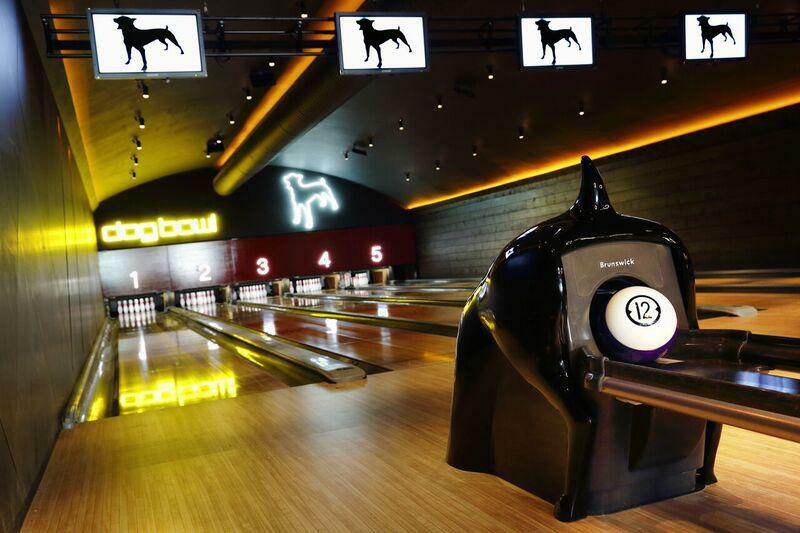 The second venue under the Black Dog umbrella is Dog Bowl. Boasting a restaurant as well as five ten-pin bowling lanes, this bar is truly unique and the place to be for fun-lovers. Sample the Tex-Mex menu and try fun cocktails like the ‘Haribo Sling’ from the extensive drinks menu whilst the worries of the week drift away – this place really is all about that good old-fashioned carefree fun attitude. If you fancy carrying on the party into the night, you can also check out The Bunker, the Black Dog’s new dance space, which plays host to various live music and DJ sets. Finally there is also the Underdog, which describes itself as a hidden gem, and rightly so. The late night venue is hidden away underneath the Black Dog Ballroom (NWS) and hosts special events. The Black Dog venues certainly aren’t playing the underdogs when it comes to nightlife in MCR and are absolutely worth checking out. Find out more here. If you like the idea of ‘Sake and shindigs,’ then you’d be a fool not to go and see what Lost in Tokyo is about. 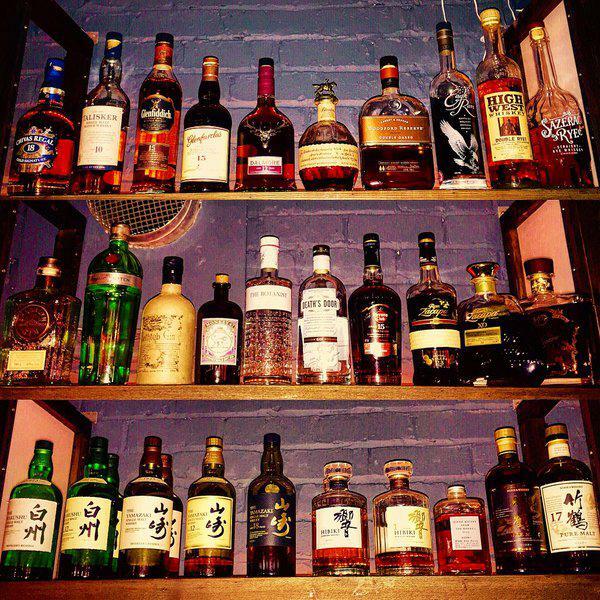 The drinks offering in this Japanese inspired bar come club is impressive. 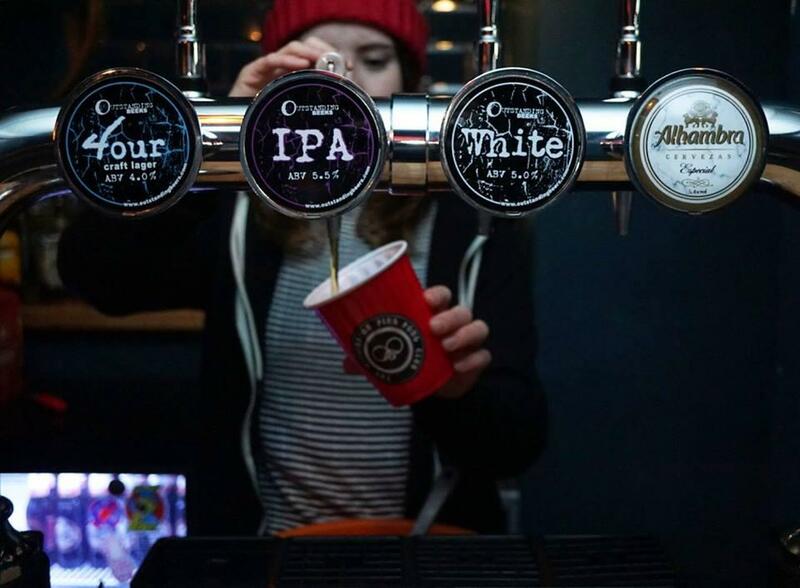 From Sake to Courvuosier to Beavertown IPA’s, there is plenty to whet your appetite here. We recommend trying one of the many 2 for £10 purse friendly cocktails; the ‘Strawberry sakquiri’ is delicious, as is the ‘Godzilla’. Featuring music from live DJs, this dressier hangout is a great destination for a night out, staying open until 3am. Just don’t wear your trainers, or you probably won’t get in. Find out more here. This super-cool venue is the perfect chilled Sunday hangout. Combining its clean and well-lit but trendy interior with cocktails, food and music we can’t imagine anyone actively disliking Walrus. The food menu’s main stars are its sliders and hand-crafted pizzas offering a range of flavours to satisfy all tastes. The cocktail menu offers subtle twists on classic favourites, such as a tropical mojito and a hazelnut espresso martini. A selection of cocktails are available at 2 for £10 throughout the evening Sunday-Friday. We recommend hitting Walrus on a Sunday afternoon, for ‘Beats and Brunch.’ Eat, drink and get funky with the hip-hop beats laid down by one of the resident DJs – the perfect way to end the week. Find out more here. Set comfortably amongst a string of vintage shops and small bars, Dusk Til Pawn creates a truly old school vibe, with its vintage inspired décor featuring vintage TV sets and electric guitars. Dusk Til Pawn was once home to a fortune telling business, but has been re-styled as an old-fashioned pawn shop. Choose a drink from their extensive cocktail menu, which is known for it’s quirky takes on the old classics – their Old Fashioned’s not-so-secret ingredient is pepperoni! From the bar you’ll be able to see the huge range of spirits in stock, and staff are more than happy to knock up anything that you ask for. Enjoy your drink whilst sinking into a squishy leather sofa, or flip through the jukebox giving a nod to the bar’s nostalgia. They also have an excellent range of beers, IPA’s and Bourbons for those who don’t fancy a cocktail. Find out more here. This wouldn’t be a complete list of best bars if we didn’t include a Tiki bar. 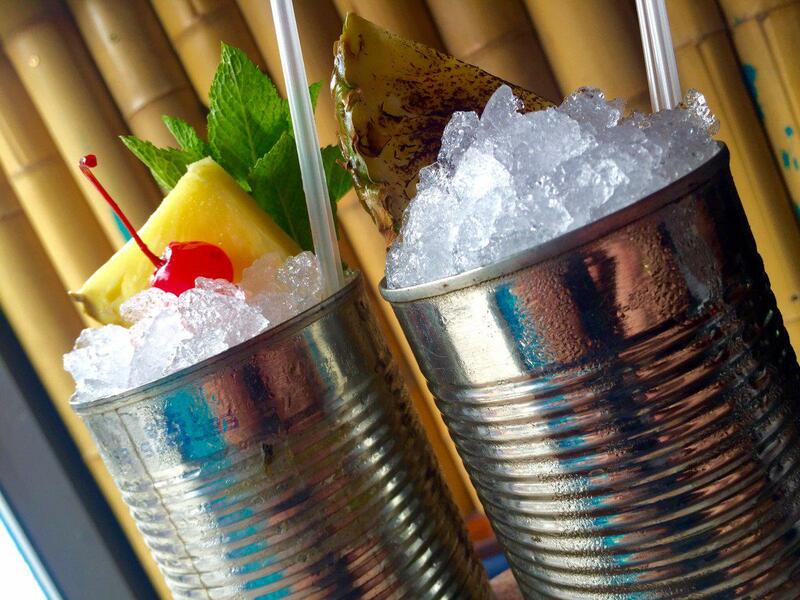 Describing itself as a ‘South Pacific rum shack,’ Keko Moku offers many a daiquiri, island iced tea and rum punch. The drinks are served beautifully adorned with fresh pineapple, hibiscus flowers and berries – perfect for that Insta post! Fun is always on the menu here with regular high speed daquiri making competitions and island beats. It’s a great place to step inside and be transported away from the dull British weather into that holiday environment! Find out more here. 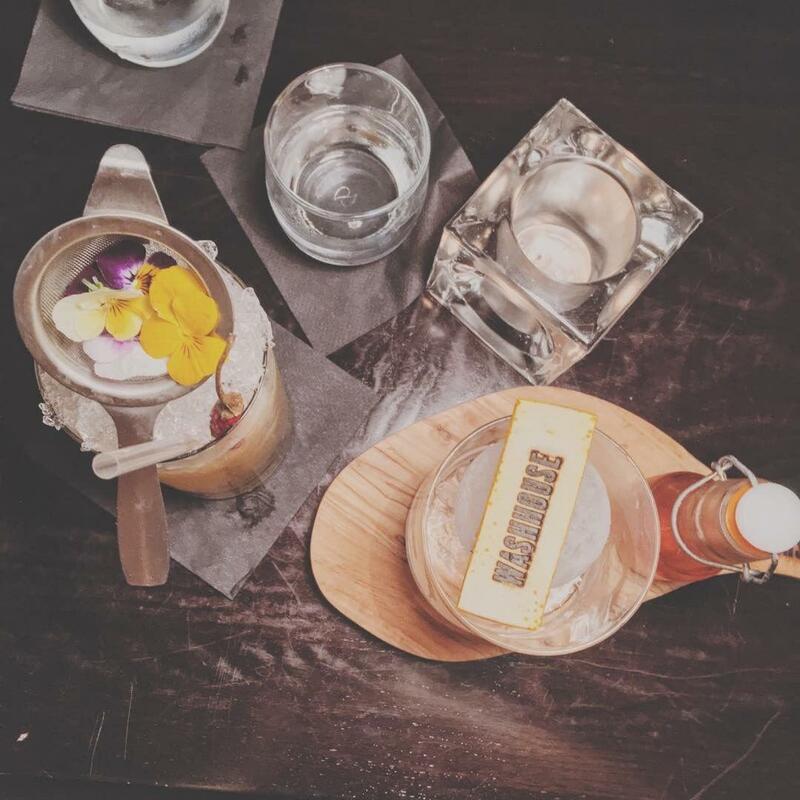 Located in Deansgate, Corridor describes itself as ‘Manchester’s best kept secret.’ Venture over the other side of the river and sample one of Corridor’s well-made cocktails (the menu has over 50 to choose from!). In true speakeasy style, the transformed textile factory features brown leather sofa booths and ambient lighting. The music style covers the spectrum of jazz, funk and soul. Corridor brings together quirky and sophisticated styles to create a relaxed yet funky atmosphere. If you’re willing to go a little off the beaten track to discover something a bit more exclusive, we definitely recommend setting your sights on this exquisite bar – you can set up camp once you’ve found it and settled in – it stays open until 4am on weekends, til 1am weekdays excluding Monday/Tuesday when they are closed. Look out for the new menu coming soon! Find out more here. So whether you’re after style and sophistication, a place to let your hair down and have fun or a cosy hangout, Manchester gives you plenty of unique independent bars to choose from.